What Are Personal Leadership Competencies For Work? Simply put, they're actions that matter on the job. These behaviors are often driven by your natural talents, attributes, knowledge, and skills. And good news - they can be developed so don't feel defeated if you look at this list and think you have a long way to go. How Does This Leadership Competency List Work? If you want to continue to make bigger contributions in work and in life, you'll want to start with a deep level of self awareness. In this model, that's the section called "Your Results" - it's the part of emotional intelligence that begins with you. Then look at "Their Results." That's when you examine how your behaviors impact the performance of other individuals. In "Team Results" you'll look at your impact at the group level. That can be a team, department, business unit, or organization, depending on your business structure and responsibilities. 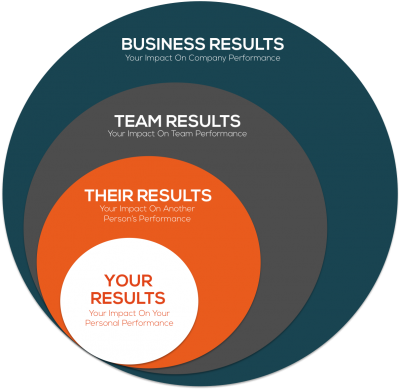 Finally, you'll consider your "Business Results" and how you're contributing at the company level. For this exercise, keep it simple. Take a pass through each column. Put a mark next to each word to represent how regularly you demonstrate that item. Use a (-) if you rarely show it. Use a (checkmark) if you regularly show it. Use an (A+) if you show it nearly all the time. Then review the list again with a different lens. Underline items that are critical to demonstrate in your company culture. Circle items that are critical in your current role. Double circle items that you need to master for aspirational roles - those are jobs or responsibilities you'd like to take on in the next 3-5 years. 1. Where did you see gaps between how you act today and how you need to show up to get where you want to go? 2. When you look at your A+ items, what does it tell you about potential superpowers you bring to the workplace? 3. 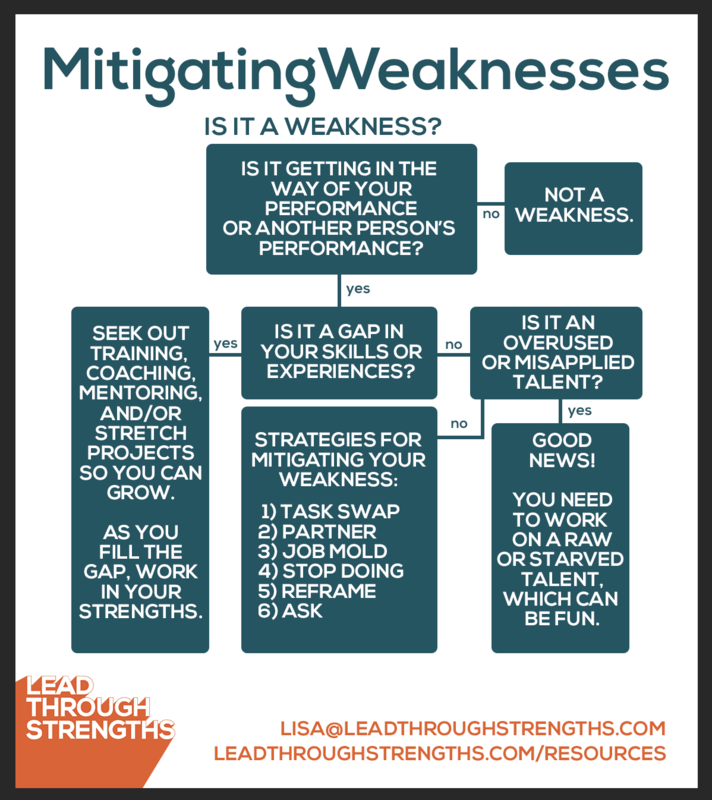 When you look at your (-) items, do these reflect weaknesses, misapplication of strengths, experience gaps, or other? What's behind them - lack of know how or desire? 4. When you look at your circled and double-circled items, which one is most important to work on? What can you start doing today? How can you lead through your strengths to boost this competency? 5. When you look at your underlined items, which items honor your personal values the most? Do any insult your personal values? How does that play out at work? Did you think of an important competency not on this list? Submit to lisa@[thisdomainname] with the subject line "Add To Competency Inventory" and we'll get it in the queue for consideration. Thanks for paying it forward to the next person who uses this crowdsourced list.